I have a cold. I haven't had one in 3+ years?! It stinks, but it's only been the second day and it's going away! Everyone in Korea seems to run for the doctor's office when they have a cold like it was their only savior. I was one of them - but it never did help. After few years of ditching "running to the doctor" habit, I'm learning how to help my body do its job. Here are somethings I'm doing. Oil pulling. Good oral health is a good way to combat anything really. I use coconut oil. Spit it in the waste bucket and not the toilet - it will clog it since it will harden when colder temperature. Gargle with salt water in AM and PM. Avoid sugar like a plague. You're only feeding the bad stuff to grow. It also takes away the minerals your body needs to fight off the cold. Drink hot tea. I make sure to only drink hot tea like water - it helps thin mucus and when it doesn't get out, the bacteria in your mouth/throat/wherever just sits there causing infection. I use some "medicinal tea" like astragalus root(DNA curing), called "hwang-gi" in Korea. And also "chun-goong". They are powerful roots in helping your immune system stay top par while sick. I was never a believer in these things - but you start discovering how effective and powerful they are, and you can't go back! Eat only when hungry. Don't over eat or under eat. Listen to your body. Eat whole foods. This is the time where you should dedicate on nutrition. Most diseases/sickness start in the stomach. Avoid processed food, fatty, dairy, and sugary stuff. Potatoes, oats, rice, meat - they're all fine as long as it stays simple. Remember to help your digestion work better by eating better so your body can dedicate its energy to fighting off that virus. Supplements will help. I haven't taken my supplements in 6 months and this happens! I take a "lighter multi vitamin", folic acid, and magnesium. Take it easy. Take a day off if you have to. Let your body do its job. I think our bodies are smarter our own-selves. Do move a bit. Don't over do it. Do some easy exercises to move your body for circulation, and I mean easy. I would stretch and did some easy housework. I upped my intake of fermented food. I actually was craving for kimchi and my homemade garlic pickles. Ate them like I was popping grapes in my mouth for most meals. I drank beet kvass. And ate lots of beet pickles with my meals. I dedicated some time and effort to better sleep. Get an extra amount and make sure you rest/sleep well. The first day was awful. I woke up with a tickley throat. And within few hours. I was runny nosey. I could barely function through out the afternoon. Then I finally got myself up to do some housework. I felt better. I drank lots of tea. Got good night sleep. My point is - let your body do its job. Even modern medicine can't help you much if you're diet is bad(bad nutrition). Please pay attention to what you're eating especially when you're sick. It all begins in our guts! TIP: once you feel a tickle in your throat, it's time to get on it! Eat well. Sleep better. 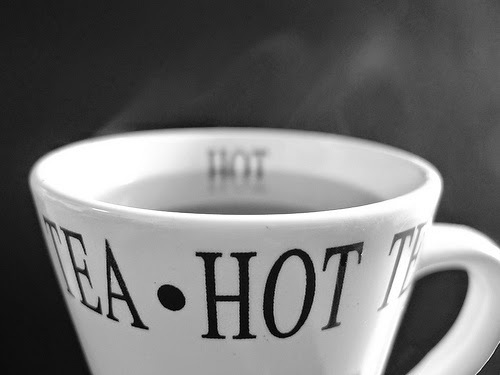 Drink hot tea. Rest and stay positive that you will beat this cold! Good luck!